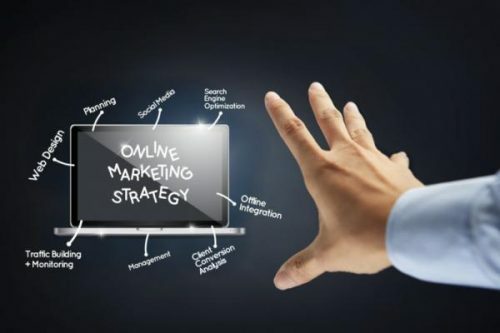 Myrtle Beach, South Carolina online marketing agency Sorcerer Digital announced the launch of a complete range of SEO, PPC management, social media marketing and other digital services for local businesses in Myrtle Beach and the surrounding areas. Sorcerer Digital, a new online marketing agency based in Myrtle Beach, South Carolina, has officially opened. The agency offers an extensive range of cutting-edge digital marketing solutions, including SEO, e-mail marketing, social media advertising and profile management, PPC advertising and others, its specialty being custom SEO strategies for small and medium-sized businesses. More information can be found at https://sorcererdigital.com/myrtle-beach-seo. Implementing an effective SEO strategy has become one of the main priorities of modern local businesses. Traffic analyses show that the first top three search results attract more than two thirds of all organic traffic for any keyword, with more than 95% of all Google users never going beyond first page results. This makes first-page ranking essential for online success. Sorcerer Digital has experienced SEO professionals ready to provide custom services adapted to the needs of modern Myrtle Beach companies. Local businesses benefit from extensive on-page and off-page Google optimization services, including domain and competition analysis, keyword research, content optimization, backlinking and many others. If necessary, the company also provides web design and development solutions, helping local businesses increase their ranking chances and online visibility by having a professional, responsive and engaging website. The agency provides regular progress reports to enable client businesses to monitor their relevant ranking changes. Other available services include PPC advertising, social media management and advertising, e-mail and video marketing. Sorcerer Digital also announced that it will continue to invest in the development of new online marketing services adapted to the latest industry developments.